The Yahoo revolution has arrived. 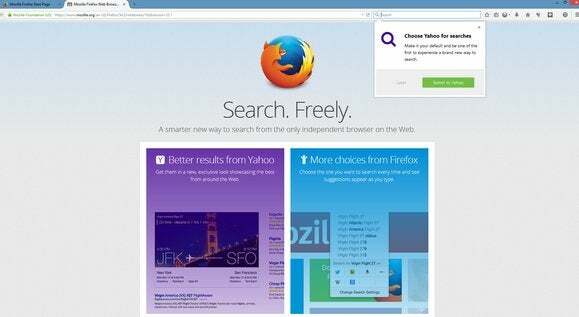 Mozilla recently released Firefox 34 and with it, Yahoo became the default search engine in Firefox for U.S. users. But fear not, current Firefox fans: It appears you may not be automatically switched to the new experience after all when you upgrade. 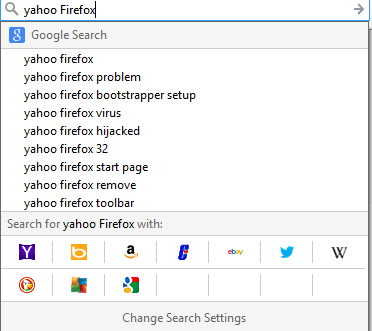 When we downloaded Firefox 34 to two separate PCs we were not greeted with the new default search engine, Yahoo. 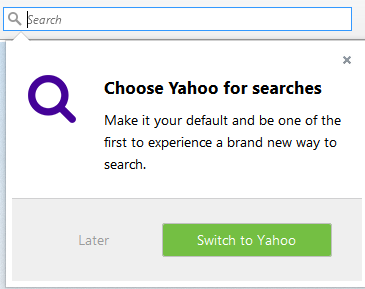 Instead, the new Firefox kept Google as the default, but supplied a pop-up window asking us to try Yahoo. Declining the switch was as simple as choosing Later instead of clicking the large green Switch to Yahoo button. Would you rather keep Google? Tell Firefox you'll check out Yahoo "later." 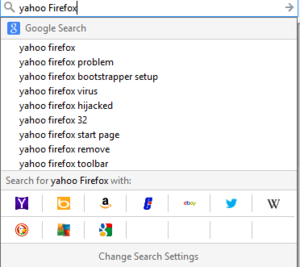 The effect on you at home: It appears that if you like your default search engine in Firefox, you can keep your default search engine in Firefox. Not automatically switching to Yahoo is a different story than Mozilla was telling Computerworld. On Monday, our fellow IDG site reported that most U.S. users would be switched over to Yahoo from Google automatically. Your experience may vary from ours, but one thing we can say for sure is that new Firefox downloads (i.e. not upgrades) will see Yahoo as the default search engine in Firefox. The new Firefox one-click search experience. Along with the new search provider, Mozilla rolled out its one-click search experience that lets you choose from different search providers on the fly. Once you start a search in Firefox, you'll see a grid of site icons at the bottom of a drop-down list. Just choose the site you want to search using your keywords and you're done. While this is a great feature if you want to see what results you get on Bing or DuckDuckGo instead of Google, its real power is when you add your own sites. You can use Firefox's new search feature not just for search engines, but also for popular sites such as Yelp and YouTube. A few of these sites are already included as default search providers, such as Amazon, eBay, Twitter, and Wikipedia. Others can be added in one of two ways: by customizing your Firefox settings or when you visit a Firefox search-enabled website. To use the settings method, click on the magnifying glass or search icon in Firefox's search box and select Change Search Settings in the drop down menu. In the window that opens, click Add more search providers..., which will take you to the Firefox add-ons catalog. Install any of the choices you have for search providers just as you would with a Firefox add-on. When you visit Vimeo.com you have the option to add it as a search provider in Firefox. The second method is to check if a site you visit can be added to Firefox's search function. Visit Dailymotion, for example, and when you enter a search term into the Firefox search bar you'll see an option to add Daily motion as a search provider. You can also add sites like Flickr, Vimeo, and WolframAlpha. Beyond search, Mozilla says Firefox 34 also comes with its webRTC chat client Hello built-in, but we have yet to see that option show up. Mozilla has also made it easier to switch between themes, and Wikipedia searches now use HTTPS for U.S. English users. For Android users, the latest version of Firefox for Mobile also comes with mirroring support for Chromecast.